Thandisizwe Chimurenga spoke briefly to both Mumia and Vittoria on Feb. 25, 2013. TC: How did you come to journalism? MAJ: I didn’t go to j-school, my experience in journalism was working on papers when I was in high school first, but when I left and dropped out of high school, I joined the Black Panther Party and I was recruited into its Ministry of Information. There I put out leaflets and bulletins and little 8 pages magazine for our local chapter in Philadelphia. I was then sent to the Bronx, NY and after that to the national headquarters [Oakland, CA] to work on the national paper, the Black Panther. And that was my first experience truly with journalism other than high school, and I found it very enriching… a wonderful experience where you were able to study and learn and write at your heart’s content. It was also fun for a young teenager. 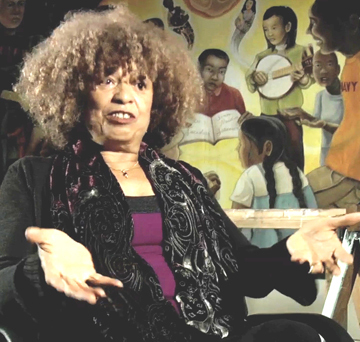 TC: Once the Panther Party had their “split” due to COINTELPRO [counter-intelligence program of the Federal Bureau of Investigation] in 1970, and things progressed, you remained a journalist? 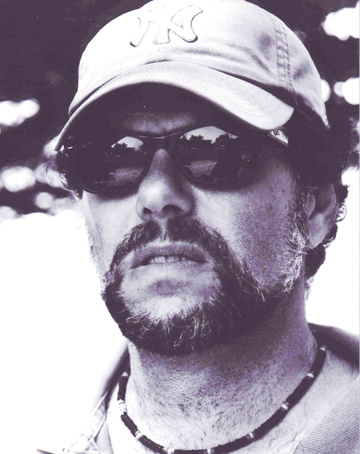 MAJ: I did, because I think some of the ‘flavor’ of those experiences remained with me, and I found that I enjoyed writing, and I enjoyed reading [aloud] what I wrote, so radio was really a kind of normal progression for me. So I began working in some non-commercial college radio stations in Philadelphia and gradually made my way to some commercial stations, and I probably got fired from more stations than most people worked at because [laughs] my bosses didn’t really like the kind of stuff that I was doing, but I was having fun. I enjoyed it. I felt like I was doing the right thing so, what the hell. TC: As a radio reporter, you reported for NPR? MAJ: That is true, I worked at an NPR affiliate in Philadelphia and they took several of our pieces of local stuff that was happening in the city and broadcast it over their main show back then, all things considered- morning edition, and … for a local reporter to be on the national network it was a great thrill to know that people all over the country were hearing you. That happened several times. TC: And your reporting won an award? MAJ: The George Polk Award [given by the University of GA’s School of Journalism] … that was for a local program we had called “91 report,” and we covered the arrival of the Pope in 1980 … the arrival of the Pope in Philadelphia and, kind of ‘disparate’ reactions. I covered north Philly, actually a part of Hispanic Philadelphia and Black Philadelphia where there wasn’t a lot of reaction, shall we say, unlike other parts of Philadelphia that are far more catholic in their response. But the show itself and our staff got one of the highest awards in journalism for our reporting. TC: So you’ve reported for NPR, you won one of the highest awards in journalism, and yet, all things considered, one of the shows that you reported for had been carrying your commentaries and then all of a sudden, they caved to pressure and stopped carrying them. What was that about? MAJ: I think that, you know, we think about journalism in this country as a kind of free speech issue or even a constitutional issue in terms of freedom of communications, but, you know, there’s nothing free about it. If it’s private, it’s owned and what the owners like to get - and people on staff learn very quickly what the owners like and what the owners don’t like. If you step on the toes of the people who own that communications outlet you will be fired. Its as real as steel, and I got used to that because one of my first commercial jobs, when I began reporting on the MOVE organization, my news director called me in the office and said he didn’t want to hear the word “MOVE” as long as I was speaking over his station’s microphone. We argued about that, I said it was news, and he went into a tirade. I kinda talked him down and said ‘what’s up’ and he said when he was a younger reporter at another station he had gotten into an argument and they [MOVE members] treated him disrespectfully and he never forgot or forgave them. And I said ‘ … that’s not a reason,’ but he was inflexible on that. So I left that station and went to another station, after I got an agreement from the news director of the station that I could report [on the MOVE organization] and I did so. TC: You have been very prolific and productive while you’ve been on death row. Your first book was live from death row, a book of your essays. You’ve gone from that book to now co-authoring books, you’ve co-authored a book with Marc Lamont Hill [of Columbia university] and you’re working with Stephen Vittoria [director of Long Distance Revolutionary]. Can you talk about that process? MAJ: It is a new experience, I’ve had to get used to it. [Marc and I] literally made a book by talking to each other over the phone, he had this technological hook-up where he could record all of our conversations. I would call him every Friday night about 7 o’clock, we would talk for 15 minutes, and the last 30 seconds he’d say ‘next week let’s talk about so-and-so, what do you think about so-and-so, and we would do that for maybe 6-8 months, and before we knew it, we really did have a book. I have to say that’s the easiest book I’ve ever written. What I’m doing with Stephen is something completely different because we actually are writing as opposed to talking to each other. We’re reading, we’re researching, we’re really carving up the world, in half, to look at imperialism. So it’s a different experience, it’s challenging, it’s interesting, and I think we’ll have something quite remarkable in a relatively short period of time. TC: Every writer is different, but can you give me an idea of your writing process? MAJ: I’ve never had ‘writer’s block.’ I know that may cause envy among a lot of writers and journalists but, I’ve always been stimulated by what I read, what I study, what I’ve been thinking about, really, since my late childhood. So, I read a lot and I think a lot and, for me, I write in my head before I ever pick up a typewriter or pick up an ink pen. I feel so juiced by the material that I’m able to write with a certain flow, ‘cause I’ve been doing it for so long I know where I’m going. I take extensive notes from books that I read, pages and pages of notes, and that kind of frees me up to go back and forth within various volumes. It is a work of discovery, because sometimes you’ll go places and say, ‘no, I need to change this, I need to change that,’ but , it has its challenges but it is the closest thing you can have in here to an illicit form of fun. TC: When we think about “life on the inside,” a lot of times we think about the censorship of mail, mail being held up; what kind of access to fresh information do you have? MAJ: I do get newspapers … USA Today … I like it ‘cause its brief and ‘bright’ in some ways. I read a lot of the radical press, foreign journals and newspapers. Le Monde Diplomatique from France, other journals from London, and I try to keep informed. I read a lot of books, and that’s been very helpful. I continue to study, and continue to learn so that I can work with some basis of information. 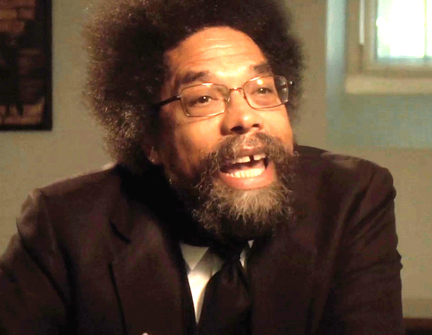 TC: Why did Mumia appeal to you [as a subject] and why this type of film? 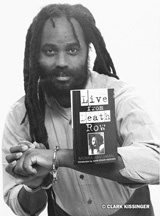 SV: I had been inspired by Mumia’s writing early on with the release of “Live from Death Row” back in the mid 90s and I was always astounded at the level of brilliance in his writing, especially when you factor in he’s operating under such harsh and draconian conditions – he’s never been on a computer, he doesn’t have access to a library, he has truly been … from death row, I think his work has been a complete herculean task, and that always inspired me, that his spirit was able to transcend prison and I always thought that Mumia’s work and his career was so much more than what the mainstream media has made it out to be. I question greatly his guilty verdict and the more you get into the facts of the case the more you see that, there’s no doubt in my mind that they have imprisoned a completely innocent man on death row, they have stolen his life for more than 30 years, they’ve stolen his family’s life. And I started to look into, ‘Who was this man? What made him tick?’ And I was doing another film in 2005-2006 called ‘Murder Incorporated: Empire, Genocide and Manifest Destiny,’ and Mumia had recorded 25 answers to 25 questions that I had for that film and they were some of the most brilliant pieces of writing Mumia has ever done, and based on that work, I really started to focus on the idea of turning my storytelling eye and my filmmaker’s eye on the complete arc of his career – from the time that he was a young child in Philadelphia, growing up in what is clearly one of the most racist cities in America, at the time it was an utter and complete police state in the 60s with [former police chief] Frank Rizzo and [former mayor] Ed Rendell running the city, and it was remarkable to see him rise out of that , to leave high school and join the Black Panther Party at the age of 15 and just really mature as a writer and a revolutionary, at such a young age, was really an incredible story. “Long Distance Revolutionary: A Journey With Mumia Abu Jamal” will screen for one week at the Laemmle Music Hall 3, 9036 Wilshire Blvd. (LA 90211) beginning Friday, March 1.